Order within 12 hours 24 minutes and it Ships Today! Traditional—yet Complex & Bold. This is our darkest brown and best selling color. Getting the perfect dark brown is tricky, and using only natural ingredients makes it even more challenging. But we did it, and it Rocks! We tweaked our black formula (added in some additional henna and blended in some light reflective conditioners) to express a glorious dark chocolatey brown. A strong rich brown sets the base while delicate walnut & coffee notes dance on the highlights. Simple & Classic. We found that tweaking a variation of our Natural Black formula (adding some additional henna and blending in some light reflective conditioners) we could get a glorious dark chocolatey brown. This color captures all the cool depth of the Natural Black, yet still warms the hair with its mocha rich browns. A strong rich brown sets the base while delicate walnut & coffee notes dance on the highlights. Simple, classic, and perfect for dark brown hair. This is a rich & gorgeous color and made my hair so shiny and healthy looking. For my second application I just did my roots and found separating my hair and using a natural bristle basting brush made things so much easier, just painted it on! I love your henna! One and a half hours sure beats 6 hours with the henna I was using before. I bought the dark brown after deciding the light brown was too reddish for me. The dark brown is perfect — no red tint at all for me on this one. Covered my gray decently too — I think after another application it won’t show at all. Really nice to finally find something natural that works! I bought Henna Color Lab’s dark brown henna because I wanted to dye my hair a little bit darker and have it still look natural. I also wanted to add some moisture to my damaged hair, and as it had been previously dyed with traditional box dye, I needed something that was all herbal and wouldn’t react with the dye in my hair. I have never used henna before, so I can’t speak for how Henna Color Lab’s stacks up against other brands, only how it compares to regular dye. Application was a little more complicated, but the smell at least was much more pleasant than the ammonia smell of chemical dyes (it reminded me a lot of cooked spinach). I will say that the gloves that came with the kit tore pretty easily, but the staining on my hands scrubbed off easily. I will probably just use latex gloves next time. Rinsing the henna out of my hair was also a lot easier than I thought it would be. The change in color was subtle, which is fine, as I wasn’t looking for something dramatically darker. It was more the tone that changed; it went from a kind of mousy dark brown to a rich chocolate that I love. I also understand that when I re-dye it, it will probably come out a bit darker. My boyfriend did notice it right away, and my mother complimented me on the pretty reddish highlights that developed. The big change is how SOFT my hair is now. It took a few days to be noticeable, but now I can’t stop touching it. I am beyond thrilled. Last time I dyed my hair, I used chemical dye, and spent weeks trying to make my hair feel like hair again instead of straw. With the henna, my hair feels healthier than before I dyed it. I’m placing another order right away. I have never dyed my hair because it’s fine, curly and dry and I didn’t want to damage it. The application was super easy, a bit messy, but that’s what old towels are for. It smelled like spinach or grass, MUCH better than ammonia. The day after application my hair had kind of a weird green tint to it and smelled strongly of grass and I didn’t notice my hair hair get any softer. When I conditioned it the next morning, the water turned kind of blue as it ran through my hair, but when my hair was dry and styled it was a beautiful chocolate brown and my hair is SUPER soft! Totally worth the day of weird smell and green tint! This was my first time using henna to dye my hair. I have to say that I LOVE this product. I’m African American and I have course, thick, tightly coiled , Natural hair. The first time I used this product it was a bit messy but after i completed the back section I became a pro. I actually slept that night with the henna on my hair because I needed some serious conditioning. The next morning I woke up and rinsed the henna out of my hair which by the way took forever but it was sooooooo worth it. When I detangled and dried my hair, I noticed a deep chocolate brown color, a shine, and softer hair. I noticed a week later when I washed my hair that my curl pattern loosened a little bit, which I didn’t mind at all because my hair is so thick and tightly coiled that a little loosenen will help my arms from burning while detangling. I just don’t like the smell of henna which I think smells of stale pot but I use coconut or almond oil to moisturize my hair so it mask the smell.I’m about to order some more. This is the best henna ever! I did not hold out much hope for the gray hair but this did a good job! I quit using henna after I got some gray hair and went to salon dye. poor hair got so fuzzy and dry! I used Light Mountain but that only turned top orange. Henna lab works awesome!!!! Absolutely love this henna! ❤️❤️❤️ The prices are great, shipping is quick, and I have beautiful bouncy hair to strut around with! Thanks for the hair love!! I was a virgin to henna until this week; I will never go back to traditional dye again! This stuff was so great, I had an intense ombré prior to henna-ing, and the Dark Brown dye completely covered up any trace of ombré that I had. Also, upon first rinsing my hair out and blow drying, I noticed the top of my head (the last section I did, because I followed the instructions) was way lighter than the back of my head. I was nervous so I bought a second package of henna immediately. Now that it’s arrived, I don’t even need it because when they said the color takes almost a week to fully process, they weren’t lying. Now my entire head is this rich, dark brown with red undertones and highlights. It looks like I paid a professional to dye my hair with multiple colors and had a treatment done; it looks awesome. For everyone worrying about the actual process of applying the henna, it’s really not that hard. It’s more messy than normal dye, but for me it wasn’t very hard to clean up. I was very excited to discover henna this past year after dying my hair on and off the traditional route with harsh chemicals since my early teen years. I studied up on the product and was confident in my order, so confident that I purchased an extra packet for root touch ups for later. I spent carful time making sure each section of hair was covered evenly by the henna mix and left it on for the full allotted time. The color turned out incredibly natural looking, which was fantastic. Unfortunately it faded rapidly over the period of two weeks, and when it did, showed unevenness of color. Some areas even looked green :/ I was so surprisingly disappointed, I don’t even know what to do with the third package I purchased. I ended up dying it the next month to cover up the henna splotchiness. Perhaps my hair just doesn’t take well to henna? I was just really surprised. I just used this on my hair last night. My hair looks beautiful!! I am a worrier so I had back up plans in case my hair turned out some crazy red color, but my hair is gorgeous – it is fuller and some of the wave and frizz was taken out. I can’t wait to see how the color develops over the next week, but I think I am already hooked on natural and not going back. I tried the dark brown for the first time yesterday and I have to say that I am sold on this product. I use henna die from another company but it always made my hair so brittle and dry, it did not cover my greys at all and it alway came out so orange so after searching online I came accross Henna color lab dark brown and decided to order it. I love the amount that they put in each package, I have a little longer then BSL and I had more then enough product with the 2 packs, I was very happy about that. My hair does not feel brittle and dry, as a matter of fact they are really smooth and soft. Also it did cover my greys a lot better then the one I used before, it is not perfect but it is more then I expected. The color is rich, beautifull and so shinny. I am extremely satisfied of this product and will surely become a very faithful customer of Henna color lab. Thank you for making such an awesome product. After doing some on-line research I decided to try henna through the Henna Color Lab. I got the starter bundle with dark brown as I normally dye my hair black but I lighted it this summer so decided to stay a shade lighter than usual. I wasn’t too thrilled with the treatment that came in the starter bundle, but I think it’s because the shampoo and conditioner from HCL was simply too…”natural” and my hair is too long to not use a creamier conditioner? I used two packets of the dark brown but mixed it with coffee instead of water and added a tsp of avocado oil and almond oil. The smell was great because my kids said my hair smelled like almond coffee, LOL. I think the oil helped the henna go on a little smoother and the coffee helped it darken a little more. I actually thought this was pretty easy. I laid down newspaper on my sink and used a silicon kitchen marinade brush to apply the henna to my hair. Two treatments was perfect. I used my own shampoo as I didn’t like the one the starter kit came with-sorry. The first couple of days my hair seemed a bit lackluster but by the third day my hair was shinny and thick. I will NEVER go back to store or salon dyes again. My hair looks amazing! Thanks, HCL!!! I hate chemicals!! This product smells earthy and does not give me headaches or cause allergic reactions ! I sm sensitive to everything. It covers grey perfectly. I have ordered from this company for a year and wi continue! as for the color It gave me a soft medium brown. Thanks HCL!! Let me start by saying that I wish they had emphasized the importance of aftercare when using this dye. I have used this twice to dye my hair now. The first time I followed most (but not all) of the aftercare instructions. I washed it after 24 hours instead of waiting the full 48, and I used some anti-frizz cream (oil-based) the day after dying it. Minor offenses, I thought., but the color started to fade almost immediately and after about a week and a half I could barely tell I had dyed it. The second time I didn’t touch it with anything for 48 hours after dying it, and it turned out exactly the way it looks on the model. Two weeks later it hasn’t faded at all. Application is important, but aftercare will make or break the end result. That said, I absolutely love this dye (and its lack of harmful chemicals), and now that I know how to make it stick, I plan to be a lifelong customer. Thanks for an awesome product! Overall, I have recommended this product and will cont. to do so. I was very excited about purchasing my henna color dye and extremely anxious! I was worried about my 5 month old highlighted hair strands picking up red tones which is something I did not want, however the color is beautiful and I am so happy with the results. I followed the directions exactly and left the dark brown henna dye on my hair for two hours, washed it out, blow dried and was blown away with how gorgeous the color was. The dark brown covered my highlights with a pretty brown color and my base is a darker brown, it took about 48 hours for the color to fully develop into a deep rich brown! I bought the starter kit which comes with 3 henna dyes and 2 hair masks and a shampoo and conditioner (I currently have a hair mask on my hair while I’m writing this review!) Its been about a week since I used the dye and I’m going to wait 1 more week to color it again with the dark brown color. I would highly recommend this product to anyone! I have received so many compliments since I’ve colored my hair with the dark brown! Thank you henna color lab, I will be a returning customer! emotional roller coaster with this being my first henna experience, but all turned out well. the process is a pain to put on, but the waiting for it to process is fine. But the first day or two, I was freaking out because my hair had a blue green tint to it. It faded after my first shampooing and now is so silky, I might have to get product that makes it less so. Not a bad problem to have honestly. Decent product. I will be doing henna again. This is my first time using henna. I’m so glad I picked hennacolorlab. This is a superior quality product. Before ordering I called to get advice and the customer service was very helpful. The order came fast even during the Christmas holiday time. The henna is easy to work with and rinses out well. I have 3b/3c spiral curl dark brown hair with about 25% gray mostly in the front of my hair. I ordered dark brown and auburn in the starter kit which had everything I needed with great instructions to cover gray. (get your own gloves though) The hair treatment used a week prior to applying henna made my hair feel soft and bouncy. It colored my grays slightly golden, it was interesting. I could have left it but wanted to try the color. I added some auburn to the dark brown to get some red highlights. The first time I added half a pack of the auburn to the dark brown packet and left on for 2 hours. The grays turned out too red but was all colored and still pretty. A week later I did a second application. I added less auburn about 2 teaspoons and it came out perfect. Dark brown with auburn highlights. Covered the gray well. Don’t wash it for a couple of days to get the full color. I will never go back to chemical color. My hair loves henna, bouncy and shiny even without curl products! I love that I can create my own custome color. I’m a lifetime customer. Thank you for the good work your company is doing, quality, great shipping and a good product! Other than the smell, I love love love this product! My boyfriends mother is a hairdresser, and she was/is skeptical about it, but I think she’s mad because I found a natural, non-chemical, vegan hair dye that is cheaper than what I would pay her. I love this color, it shows up quickly, and by the next day its almost at its full color 🙂 I will never stop using this product! I recently made the switch to henna dyes and have been mentally kicking myself for not doing so sooner, but I’m so glad to have found Henna Color Labs and their kicka$$ customer service! I initially mixed the dark brown henna with the medium brown, thinking that dark brown meant “black” (as it so often does with hair dye! ), but to my pleasant surprise, it yielded a true rich dark brown– no black hair or purpley tones here. I do agree with another reviewer that aftercare is extremely important. I made the mistake of washing my hair within 24 hours and already know that a touch-up is in the near future. 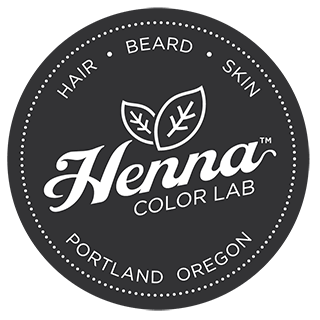 Another pleasant surprise– while the application process is a bit of a production, I find that Henna Color Lab’s henna has much less staining power than traditional chemical dyes– I applied a barrier cream to my hairline and neck, but after rinsing the product out I was left with no stains on my face or scalp. Just make sure it doesn’t drip on fabrics, carpets, or towels! The color is great and I like what it does to my hair, but this particular color does not cover grays very well. I’ve done 4 applications now and my patch of grays looks golden, not brown. And mind you the 1st 2 treatments turned the grays green and stayed that way until the 3rd treatment, where they turned orange, and now they’re gold after the 4th. Love this it is so pretty !! I have been no poo for 9 almost 20 months now and I lightened my hair for the summer with lemon juice honey and peroxide and I my was drying and I wanted to darken my hair found different options but this was the only one to quickly color my hair . It was easy instruction and I emailed henna color lab prior to coloring with questions / concerns I had and they helped me and got back with me in a fast response! Than you!for a wonderful experience!!! I’m leaving a review on the third day of coloring just to fully see a few results and my hair is so soft and the colors are starting to develop so nicely into a nice smooth shiny chocolate brown. . My hair feels so pretty and soft and i swear it grew as well! Thank you henna lab for my beautiful dark color !! Will be purchasing again!❤️❤️❤️? In the past 8 months I took my hair from blonde to brunette to dark red to pastel lavender/silver (you dye your hair a lot in university level theatre…) Needless to say I decided I needed some TLC and knew my poor, patchy-color faded hair couldnt handle any more bleach or harsh chemicals. I scoured the Internet for a henna hair dye that would be free of metallic salts and other things that would kill my hair, and I found this. I ordered the bundle and as soon as I got mine in the mail, I did a strand test on some of the silver/lavender hair I’d saved when I cut off 4in of damaged hair the other day. After 2 hours it turned a golden brown and I knew it would work. I mixed my dark brown henna with coffee and cinnamon and applied it to my hair – made less of a mess than I do with chemical dye kits! I donned the shower cap and wrapped Saran wrap over it all to prevent any leaks, then wore it over night for a total of 10 hours. It rinsed out very easily with some conditioner and was the most lovely brown! It’s not quite dark enough yet, but way darker and richer than I thought possible from one application–and it’s been less than 24 hours so it should naturally darken a little more in the next day which is exciting! My hair was very patchy from the lavender dye turning different colors throughout my hair so I was worried the henna would also be a bit patchy, but nope! It’s evenly colored and lovely throughout and feels soft and wonderful! So excited to watch my hair get darker as the henna finishes its thing, and since I only used part of my first packet I’ll probably be doing another application within the week. The Minty Mix shampoo and conditioner I picked are amazing too and I want full sized bottles! Henna color lab needs to stay in business forever because this is definitely the best hair dye experience I’ve ever had, and I will be a lifelong customer. Thanks for helping my over processed and damaged hair look and feel like a million bucks! I need to make another review ! I just color d my hair again with this color being it faded quite a bit but I just do another application yesterday and this time I left it in for four hours and my hair is extremely soft silky and bouncy and not to mention shiny I did out 100% pure essential oils in my hair so the smell after washing wasn’t as bad as it had been but I’m so in love with this color and I jus mad another purchase I ordered all the hair treatments and most of the shampoos and I got all the red colors becseu I could decide which one to do! I wanna pop a little red in my hair as well!! 🙂 I really appreciate you guys and thanks for making amazing products!!! have been using this mixed 1:1 with natural black henna to cover my 20-30% premature grey hair since almost a year and I have been very satisfied. This was my first henna experience. I had bleached blonde hair and was tired of the high costs of salons and the chemicals in box dye, plus you pay for what you get with both. I googled and discovered henna. I had always been steered away from it by prior hair stylists with horror stories of henna gone bad. This was not the case when I tried it! Even with YEARs of chemical dye in my hair, it turned out perfect. I chose dark brown because I was scared of the lighter colors having too much red in them and making my hair orange. The dark brown turned my hair a light to mid brown and I had highlights peaking through. It truly looked natural or expensive salon yet it was only $9.99! It wasn’t as messy as I expected. I applied it while in the shower in old clothes and it was an easy quick clean up with no staining. The gloves can be flimsy, which ended up with some color on my hands, but if you lotion well before the color doesn’t stain. Love dying my hair with henna knowing it’s all natural and no animals were harmed in the process! I really like this color. My problem is that it fades REALLY fast. Basically after applying it, I won’t wash it for two or three days. The day I dye it and the next day, my hair is a weird semi-matte blackish color, but the after it oxidizes, usually by the second day, it is BEAUTIFUL. The color in the picture is pretty much how it looked over my medium ash brown hair. Very very rich beautiful dark brown. But on me it fades REALLY fast, like within a couple weeks you can’t tell I ever used the product. It’s a little annoying for that reason, but the color is excellent, it’s amazing for your hair and it’s all natural and vegan and I will continue to use it for those reasons! When I mix mine, I add a bit more water than is recommended and also apply it with one of those little hair coloring brushes and it really makes applying it evenly SO easy. I have been trying to switch my beauty routine to all natural products. I have successfully switched out all of my beauty products except for hair dye. Now, I have been dying my hair off and on for years. My hair has never really been damaged from doing this, but I know that the chemicals are not good for my hair AT ALL. So, I decided to find another way to still have fun with my hair. I came across Henna Color Lab and I am NEVER going back. The price is great, the shipping was fast, and my hair is GORGEOUS! Here’s how I did it: I brewed some bold, dark roast coffee in a french press and mixed this with the henna powder. I then added a splash of lemon juice. Btw, I actually enjoyed the smell. It smelled like tea! I had a friend use a color application brush to “paint” the henna on my roots and then went at it, massaging the color into my hair to completely saturate it. (ps, BUY DIFFERENT GLOVES!!!! The gloves fell apart on my friend and now her hands are green!!!) After it was all on, I put on the cap and set the timer for a little over two hours. I took a blow dryer to my cap full of hair every 20 minutes or so and just blow dried it for a couple minutes to help the color process. When it came time to rinse it out, I just worked some natural conditioner into my hair and it came out pretty easily. I then took a blow dryer to my hair for 10 minutes to get the color to process and BAM! Now I have the best hair of my life!!!!! It is so soft and smooth! Also, the color is GORGEOUS!!!!!! Its the perfect dark brown without any strange undertones!!!! I am NEVER going back to box dye again!!!!!! It hasn’t even been a full 48 hours yet, so this isn’t even the end result and I’m excited to see what my hair turns into! I don’t know how it can get any better than how it is now! I am writing another review. I dyed my hair with this about 3 weeks ago. I expected the color to fade a bit (since it was the first time that I dyed my hair with this). I actually didn’t fade too much. It faded to this lovely darker medium brown. I ordered another pack of this when they were doing their cyber sale and just redid my hair last night. I did the same thing that I did last time (mixing-wise) and it has turned out amazing AGAIN!!!!!! Hopefully the dark brown color won’t fade as much this time (even though it didn’t fade that much last time, I like the really rich, deep color). I plan to continue using these products. My hair looks absolutely stunning and I like the fact that I can color my hair without damaging it. My hair is also much more manageable now. I have extremely thick hair and this reduces the frizz to make it nice, smooth, and shiny! Also, I would suggest getting one of the shampoo bars to use on your newly dyed henna hair! Better protect your investment with the best natural, sulfate free shampoo around! 😉 Get ready for gorgeous hair!!!!! I waited a while to write this because I have been amazed…I had previously tried the light brown color (you can see my review below that) and thought it was too red for me to match my root color. So I tried this color next and ooooooh. IN LOVE<3 this color lasted for 6 months. As in, did not fade, did not turn red, etc. My roots were in the same exact shade, just have natural golden pigmentation that you could only see in the sun to tell that I hadn't dyed in so long. I am thouroughly impressed too at how well the henna seemed to almost protect my hair from drying out. I actually removed the color recently using color oops, and noticed that within a month of doing that, my hair was just hard to keep conditioned. This henna adds lustre, shine, body (much needed for me), scalp health, etc. I cannot sing the praises enough. I am going to try the wine red henna next 🙂 Thanks HCL for being amazing!! This color is the first one to come out as pictured. It is very dark, but I tried the other browns and I had a lot of orange in my hair. The light brown left all of my roots coming in very red/orange with very little to no brown on my hair. The medium brown covered most of my hair but the grey areas around my face stayed orange. I did buy the pure indigo and apply if after henna around my face and it did cover the orange. I left it on for only 30 minutes. It wasn’t until I tried the dark brown that my hair came out a very dark chocolate brown. I love it!!! All of the products have made my hair so health and shiny. Definitely worth the trial and error to get it right. Before I tried Henna I had bleached hair that was badly damaged and I must say that I was hesitant to try Henna at first. However the dark brown color is beautiful and really nourishes hair. My hair is now soft and has volume and it really shines. The smell is very nice and the Henna shipped within two days. The instructions are thorough and very easy to use this product. I will definitely buy Henna again! i’m pretty disappointed. i read all the instructions carefully and even researched more into henna before i decided to go for it. i used the longest recommended times and it barely changed my hair colour and it left it with a golden sheen, something i was hoping to get rid of. maybe i could try to dye it again. i dont know if it’s worth my time though. have been using Henna Color Lab treatments for a year now, with the dark brown shade being my favorite. I have also tried Wine Red, Light Brown, and Medium Brown — all of which are also very nice, but not quite my long-term preference. I am always happy with the Henna Color Lab henna treatment results, and this time is no exception. My hair feels so strong and I have less frizz. I went in the the big chop a few weeks ago and I was concerned that the henna might weigh down my shorter curls, but I actually have more volume. For me, shorter hair and dark brown henna seem to go very well together. Thank you for making a great product at an affordable price! My color was a faded red-orange color before dying it and I was trying to achieve a brown color with no shades of red like every other box dye out their that always ends up red brown. I used the Dark Brown Henna and I only left it on for 45 min because I had to leave my house and I didn’t want to walk out with my hair covered in “mud” lol I thought I wasn’t gonna see any results because it does say on the instructions it takes an hour to start seeing color and 2 to more hours for it to deepen but surprisingly it worked very well!! My color went from an ugly orangish color to a beautiful chocolate brown! I am very happy with my results and I’ll definitely be dying my hair with Henna Color Lab. My hair is soft and shiny and the color is stunning! My hair would always end up breaking or be extremely rough after using box dyes or salon dyes but with the henna there is absolutely no damage and my hair actually feels so soft and looks really shiny! My ends are super damaged and I have tons of split ends and they look so much healthier now! I recommend Henna Color Lab to anyone who has damaged hair and still wants to dye it without causing more damage. My hair was definitely a tough case. I had shoulder length fried faded marinara red hair. After months of being a BRIGHT unnatural red head that needed constant bleach and re-coloring to keep it up. On top of that, i had 2 inches of ashy dishwater blonde roots, giving me a less than flattering look. Nothing had covered the red, every brown hair dye covered my ronald mcdonald locks marginally, giving me purple hair that always faded back to the red i was so sick of. I was at the end of my rope. I was embarrassed of it, wearing buns or hats, i never felt put together and always looked disheveled. I regretted my edgy college girl decision that prompted the deep fried hair i was left with. After some research i found out about henna. I was ready to take the plunge, knowing i could never go back to my natural color anyways, bleach would have broken it off and growing it out was not something i was ready for, as the dyed and natural colors were so vastly different. I read that coverage with henna could be a problem, as my roots were such a different shade. But i wanted healthy long hair again, and i was tired of having bright hair that got me a lot of stares. I was also happy about the idea of a color that wouldn’t damage it further, no matter how many times i had to re-apply. I was ready to be a guinea pig, with Henna Color labs color variety and guarantee of being all natural and metallic salt free i ordered three packets of dark brown. It took me two, two hour sessions of the henna to cover my red. But now my hair is much silkier, actually shiny, (something i thought wasn’t possible at the state my hair was in) and actually covered my red fairly evenly! It now has a very subtle warm hue but is a very dark, almost black brown that i have fallen in love with. Instead of a fix to hold me over until a grow out i can say that i’m keeping this color for a long, long time and i’m sticking with this company. I love how i look in the mirror and i felt perfectly classy for a mother’s day brunch with my almost raven, bold brunette locks. It covered my roots and hair perfectly. If you are unsure of how this will go on your hair if it is a strange color or very chemically damaged i highly recommend buying it. My hair actually feels thicker and stronger with each session i do, and always looks shinier and more moisturized. It completely saved me and now I actually feel beautiful again. I have been using Lush henna products for over a year and decided to give Henna Color Lab a try. I was looking for a darker brown and a cheaper alternative. While I love Lush, this henna was also great! I love that it comes already in a powdered form, meaning I just needed a mixing bowl to start rather than having to use/clean my blender. The only negative comment I have–like many reviewers– is the cheap quality of the plastic gloves. The color turned out nice and I will be using this product again. Loved the color at first but fades quickly ! Going to try it again and hopefully will last longer . I would say all of the color washed out within 3 weeks and I followed the directions entirely ! i tried to publish a review earlier but it’s not showing up. so i’ll write it again because i want people to know every side of what could happen. i followed the directions meticulously and researched henna before even ordering. i decided this would be the colour i want. i left it on for the longest so i could have the darkest brown but it did nothing. nobody noticed. i feel like i wasted my money. i want to try it again but i’m worried i’ll just waste my money again. Awesome product! I used it to dye the increasing number of grey strands. Pros: no itchy scalp and hair loss like the conventional demi-permanent dye I used previously; my hair really IS shinier and silkier, less flyaways and kinks (I was a doubting Thomas when I read the other reviews on this), hair is a more glorious version of my own. Cons: messssssy, plastic gloves are too big and bunch up easily; earthy smell clings to the hair for a few days. I missed a couple of spots because of my haste and lack of patience. Would highly recommend it – just for the hair-conditioning aspect, and how natural it is (no itch! yay!) Keep in mind you can use it as many times as you want. Thanks, Henna Color Lab! I am completely satisfied with this henna! My hair was originally dark/medium brown and this made my hair a little darker and much richer which is just what I wanted. I also had a section of my hair that was colored teal. The henna mostly covered it, but it is still a little visible. It wasn’t as messy as I thought it would be (and I’m a messy person). My hair was soft and shiny after dyeing it. Overall, it was a great experience! So happy with the way my color turned out!! I absolutely love Henna Color Labs!! YES YOU CAN BLEACH OUT AND DYE OVER THIS PRODUCT. I reviewed this product about 8 months ago with severely damaged bright red hair and not knowing what to do with it. I truly believe this product took my hair from a cotton candy textured nightmare to shiny, (albeit maybe not as healthy as virgin hair) healthy, smooth hair that i could style and go out in public without feeling embarrassed. I applied it three times over a few months to get the darkness I wanted. But it does often fade and after a while i found it started to make my hair dry as my hair was so so porous that i couldn’t keep up with doing henna over and over again. So i dyed it over with a developer based color a black/dark brown. And YES IT DOES DYE OVER, and since this is an organic product you don’t have to worry about your hair breaking off or turning green. BUT, it should be noted where the henna has been applied chemical color will turn darker than expected results. I don’t know why just does. After 5 months of last application I was able to BLEACH my hair and it did become much lighter, I would say a level 6/7 from a black shade. You probably will not be able to bleach it back to blonde, I didn’t want to, I honestly just needed it to remove a chemical dye but it did lift out a large portion of the henna. It came out so even i didn’t need to color over it. It can be lightened slightly in my experience, just don’t expect light blonde after a dark henna. If you have damaged hair and want to go darker I do recommend this product as it is gentle nourishing. It got me through months of when my hair was much too fragile for chemicals and smoothed and filled the cuticle. But don’t be too scared of it being as permanent as a tattoo if you ever want to go back to chemicals, you can go a few shades lighter or darker after a 5-8 months of letting this product fade. I’ve been using different hair color blends from Henna Color Lab for the last couple of years. Dark Brown is the second color I tried. My natural hair color is dark brown, but I have also been chemically dying my hair various colors since I was 13 (eek!). Chemical dyes started irritating my scalp, as well as not covering the few gray hairs that I am starting to get. That’s what prompted me to try henna and I have not been disappointed. This particular shade is lovely and makes my hair look like it’s been lit from within. It really brings out the best in my natural color. Be sure to read the instructions; color can come out dark at first but takes a couple of days to reveal the true color result. The application process can be messy. It has taken some practice to minimize the mess, but I’ve found that using a tint brush helps a lot. Afterwards, my hair is left soft and healthy. Amazing! This product is amazing. This is my second time using henna but my first time using it from Henna Color Lab. There is a big difference in the quality. The color mixing is genius. I made a huge mess the first time I used henna, but this henna went on much smoother in my opinion and was easy to apply to my long thick relaxed hair. The best part is you don’t have to wait for dye release and can apply it immediately. Follow the directions as instructed for best results. I will be ordering again and again. My hair was noticeably stronger and feels healthier. I have been using this shade of Henna for about 6 months now, total of 4 applications. My natural color is a mousy brown with gold highlights so this color looks sharper and more sophisticated. I had sworn i would never dye my hair again but i have a few gray hairs now (late 20s) and i thought i would try henna. I get so many compliments and i can’t recommend it enough. I have fine hair and this thickens it and makes it look very glossy and healthy and i lose less hair in the weeks right after coloring. I also love that it doesn’t fade leaving your hair looking orange like chemical hair dye, but instead it just returns progressively to my natural hair color and my grey hair appears again. I highly recommend this color and product. I switched to henna after having brain surgery and I didn’t want to use any more nasty chemicals on my head! I’m probably 40% grey with dark brown hair. The first time was a huge mess, but I’ve done it so many times now I’ve perfected my routine and it’s so simple and easy! I bought a pair of good quality gloves and that made a huge difference. The dark brown is such a gorgeous rich color. My hair is so soft and shiny after the application! The best part is that I don’t end up with the harsh line of dyed/not dyed hair. The grey shows up gradually and doesn’t stand out like it used to. I’ve now switched to the light brown since I’ve got so much grey. One of my coworkers recently asked if I got highlights. She said my hair looked so pretty! I told her I appreciated the compliment, but the highlights are really just my grey hair with the light brown henna! It does look gorgeous though and I love it! This is a great product and if you keep practicing it won’t take long to get the hang of it. I have been searching for something to color my hair with for years! I am extremely allergic to chemical hair dye. I have also tried the “organic natural hair dye ” and ended up with a systemic reaction. It was horrible! There is no such thing as a natural chemical hair dye!!! If the ppd is taken out, there is something else that has to replace it!! Hair stylists for unknown reasons freak when you mention Hennas. I decided to give it a try as I had no other option as I am about 30% grey. I am sooooo happy I did. I used the Dark Brown and my hair turned out a beautiful rich dark brown. My greys turned an orange/reddish color initially but after waiting about 48 hours they are now a lighter brown. They kind of look like highlights!! My hair feels soooo soft and shiny. I could not be happier!!! Thank you, thank you Henna Color Lab!! Also, thank you for the amazing customer service when I was concerned about the orangy/reddish greys. I would recommend this product and company to anyone that wants a healthy way to color their hair!!!!! I had overprocessed, overcolored red/orange hair. I was scared to color it again and was just planning on letting it all grow out and cut it off. I just couldn’t live with it anymore so I tried this and what an amazing color it gave my hair! I left it on for exactly 2 hours and used a conditioner to rinse it out. My hair hasn’t looked this thick and full in so long! This was my first time using henna as a dye product, and I am obsessed with it! My hair came out exactly as I was expecting; a deep, dark, rich brown shade that you could drown in! The henna went on easily using my hands, then sat for 3 hours to release the dye. The extra cap and gloves within the packet was quite useful, thank you for that. So far my hair isn’t damaged, and I love the results. If I keep dying my hair, this will be the only dye I ever use. My husband said my hair is lustrous and he has never seen my hair this healthy looking before. No more frizziness. Hek, I didnt even have to put oil or flat iron it. It just very soft and shiny and full of volume. I love it. I have very thick and course black asian hair. I am one of those people that hair stylist hate because my hair is super stubborn to color. It must be bleached in order for the color to show up on my hair. And when they do color after bleached, my hair always turn orange and dry and the root area really bright orange.. Also, the chemicals damaged my hair and dried my scalp so I was looking for alternative to cover my grey hair (10%? Maybe). I used dark brown, of course that doesnt do any color change to my black hair but it sure covered my gray hair, turned into brown or copper brown and it continues to darken. I left it for 3 hours though. No more shiny silvery white gray hair. I did have to apply it twice but my hair is stubborn so that was expected. Now I am going to purchase the light brown in order for me to achieve dark brown for my stubborn black hair. I will try different color. After all, it is natural so I can color all I want. I have a lot of cut out hair saved up when I cut my hair short so I can use them for strand test. I told my friends and family about it and they are excited. I guess HCL can expect more customers pretty soon. Thank you HCL. I will provide more feed back for next colors. I WAS VERY SKEPTICAL USING THIS, AS I HAD USED MANY DYES OVER THE YEARS TO COLOR MY HAIR. MY DARK BROWN EITHER CAME OUT TOOO DARK OR SO PHONY LOOKING. THIS HENNA IS ABSOLUTELY UNBELIEVEABLE. IT COLORS IT PERFECTLY AND IS SO NATURAL EVEN MY HAIRDRESSER DIDN’T KNOW I COLORED MY HAIR. I HAVE GOTTEN SO MANY COMPLIMENTS ON MY PRETTY HAIR. PEOPLE WOULD SAY TO ME DID YOU GET A HAIRCUT YOUR HAIR LOOKS SO NICE. WELL YOU HAVE MADE ME A PERMANENT CUSTOMER AND A BELIEVER.. Simply the BEST henna hair dye on the market! I mix the dark brown and just a sprinkle of red wine henna for deep chocolate brown color with plummy/burgundy high lights. I’ve received a number of compliments on the color from everyone to coworkers, friends, hair stylists, and even strangers! I absolutely LOVE this brand and never intend to switch! I had really high hopes for this product, and I don’t want to leave a negative review… but it did not work for me. I am allergic to chemical dyes, so was really pleased to come across this website. I have read all the reviews countless times, and did skin test etc. I was cautious applying the dye, and so did a small section and wrapped in tin foil to check the colour result mostly. Was really surprised to get a hot face, itchy sensation, and slight swollen features. It went after 24 hours but did feel rather under the weather. I must be sensitive to something in the product and so only writing this as a potential warning to others. I do not believe natural means you cannot have an allergy. Had good support from Sally in customer services, but feel rather deflated in that I am getting more gray hair which I am not ready for. The color does not stay for me. I’ve ordered this twice already and it just doesn’t work for me. I have about 15%-20% greys, mostly around the front and top of my head. Before using this I was using pure henna from another company. I applied this henna as directed. The very first time I used it it did not cover my greys at all. Second time I left it in longer and it covered up some of the grey. Third time left it on even longer and it did cover my grey but it only lasted literally a week and it faded out and I could clearly see my grey hair again. It does have a nice brown color on my hair that is not grey…but I wouldn’t buy it again because it doesn’t cover my greys. I will go back to my pure henna again because that stuff covered my greys immediately and left them a nice copperish color which looked nice on the red color the henna gave my hair. It was like highlights. my hair started to grow back!!! after years and years of using horrible box dye and getting my hair professionally dyed … i was sick of my hair falling out! my hair became more and more fine. i was scared! so i decided to stop coloring all together … well… wow… my hair had more greys in it than i thought! i felt washed out and older looking than i am. i did a ton of research and came across this company… sounded too good to be true… i thought … what do i have to lose? i initially got the lighter brown shade and although i was super happy that i looked so much better… it was pretty red. since it made my hair feel so healthy and shiny i thought… let’s try the darker shade! very pretty color! yeah still some red in it but i was thrilled! i might go for the black next time! (my favorite hair color). post quitting chemical dye, my hair is growing back in! i even like the earthy scent! I loved dying my hair with this product! I had severely damaged hair for a long time, which was the result of heat, color, and bad reactions to medications. I’ve finally gotten it to a point where it is super healthy again, but I was worried about using traditional box dye and destroying my hair again. I tried henna on a whim and wanted to go from my medium brown hair to slightly darker. The color turned out beautifully and so natural looking. My gold highlights now have a barely-there reddish tint and my dull hair is so soft and a beautiful chocolaty-brown. I definitely recommend this product and am very pleased with the results! The only hair dye I’ve used so far on my hair is the henna hair dyes from colorlab. My hair is dark brown with a few greys, which stayed grey after application. I’ve used the Auburn dye a few times and never had that issue. Maybe you need to leave it longer to have a better result, I left mine on for close to four hours. I’m really impressed with this product! I’ve been using henna for about 8 years, most recently I was using a henna and cassia mix but I wanted to switch to a dark brown. I have tons of grey argh. This neutralized all that bright copper in my hair and blended out my greys. Keep in mind my grey had a previous application of the henna and cassia, but still, I’m really impressed. I also really like the addition of neem. I had previously been using lemon juice, or citric acid powder and both gave me blisters around my hair line if I wasn’t careful. My scalp seems fine with the neem. I also love that the henna odor is dramatically less with this mix than with my usual henna. I’m going to stock up soon!